Accuracy of the results obtained by automated processing of brain magnetic resonance images has vital importance for diagnosis and evaluation of a progressive disease during treatment. However, automated processing methods such as segmentation, registration and comparison of these images are challenging issues. Because intensity values do not only depend on the underlying tissue type. They can change due to scanner-related artifacts and noise, which usually occurs in magnetic resonance images. In addition to intensity variations, low contrast and partial volume effects increases the difficulty in automated methods with these images. Intensity normalization has a significant role to increase performance of automated image processing methods. Because it is applied as a pre-processing step and efficiency of the other steps in these methods is based on the results obtained from the pre-processing step. The goal of intensity normalization is to make uniform the mean and variance values in images. Different methods have been applied for this purpose in the literature and each method has been tested with different kind of images. In this work; 1) The state-of-art normalization methods applied for magnetic resonance images have been reviewed. 2) A fully automated and adaptive approach has been proposed for intensity normalization in brain magnetic resonance images. 3) Comparative performance evaluations of the results obtained by four different normalization approaches using the same images have been presented. Comparisons of all methods implemented in this work indicate a better performance of the proposed approach for brain magnetic resonance images. 1. Hellier, P, Consistent intensity correction of MR images, In proceedings of the IEEE International Conference on Image Processing, (ICIP 2003), Barcelona, Spain, 2003, pp.1109-1112. 2. Sweeney, E.M, Shinohara, R.T, Shea, C.D, Reich, D.S, Crainiceanu. C.M, Automatic lesion incidence estimation and detection in multiple sclerosis using multisequence longitudinal MRI, American Journal of Neuroradiology, 2012, 34(1), 68-73. 3. Shah, M, Xiao, Y, Subbanna, M, Francis, S, Arnold, D.L, Collins, D.L, Arbel, T, Evaluating intensity normalization on MRIs of human brain with multiple sclerosis, Medical Image Analysis, 2011, 15(2), 267-282. 4. Meier, D.S, Guttmann, C.R.G, Time-series analysis of MRI intensity patterns in multiple sclerosis, NeuroImage, 2003, 20(2), 193-209. 5. Madabhushi, A, Udupa, J.K, Moonis, G, Comparing MR image intensity standardization against tissue characterizability of magnetization transfer ratio imaging, Journal of MagneticRresonance Imaging, 2006, 24(3), 667-675. 6. Loizou, C.P, Pantziaris, M, Seimenis, I, Pattichis, C.S, Brain MR image normalization in texture analysis of multiple sclerosis, In proceedings of the 9th IEEE Conference on Information Technology and Applications in Biomedicine, Larnaca, Cyprus, 2009, pp.1-5. 7. Pourahmadi, M, Noorbaloochi, S, Multivariate time series analysis of neuroscience data: some challenges and opportunities, Current Opinion in Neurobiology, 2016, 37(1), pp. 12-15. 8. Jayender, J, Chikarmane, S, Jolesz, F.A, Gombos, E, Automatic segmentation of invasive breast carcinomas from dynamic contrast-enhanced MRI using time series analysis, Journal of Magnetic Resonance Imaging, 2014, 40(2), 467-475. 9. Waarde, J.A, Scholte, H.S, Oudheusden, L.J.B, Verwey, B, Denys, D, Wingen, G.A, A functional MRI marker may predict the outcome of electroconvulsive therapy in severe and treatment-resistant depression, Molecular Psychiatry, 2015, 20, 609-614. 10. Kickingereder, P, Burth, S, Wick, A, Gotz, M, Eidel, O, Schlemmer, H.P, Maier-Hein, K.H, Wick, W, Bendszus, M, Radbruch, A, Bonekamp, D, Radiomic profiling of glioblastoma: identifying an imaging predictor of patient survival with improved performance over established clinical and radiologic risk models, Radiology, 2016, 280(3), 880-889. 11. Ellingson, B.M, Kim, H.J, Woodworth, D.C, Pope, W.B, Cloughesy, J.N, Harris, R.J, Lai, A, Nghiemphu, P.L, Cloughesy, T.F, Recurrent glioblastoma treated with bevacizumab: Contrast enhanced T1-weighted subtraction maps improve tumor delineation and aid prediction of survival in a multicenter clinical trial, Radiology, 2013, 271(1), 200-210. 12. Kickingereder, P, Radbruch, A, Burth, S, Wick, A, Heiland, S, Schlemmer, H.P, Wick, W, Bendszus, M, Bonekamp, D, MR perfusion–derived hemodynamic parametric response mapping of bevacizumab efficacy in recurrent glioblastoma, Radiology, 2016, 279(2), 542-552. 13. Newlander, S.M, Chu, A, Sinha, U.S, Lu, P.H, Bartzokis, G, Methodological improvements in voxel-based analysis of diffusion tensor images: Applications to study the impact of apolipoprotein E on white matter integrity. 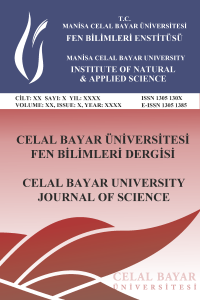 Journal of Magnetic Resonance Imaging, 2014, 39(1), 387-397. 14. Sarkka, S, Bayesian Filtering and Smoothing; Cambridge University Press: London, England, 2013; pp 252. 15. Fan, C.N, Zhang, F.Y, Homomorphic filtering based illumination normalization method for face recognition, Pattern Recognition Letters, 2011, 32, 1468–1479. 16. Dawoud, M, Altilar, D.T, Privacy-preserving search in data clouds using normalized homomorphic encryption, In proceedings of the Parallel Processing Workshops (Euro-Par 2014), Lecture Notes in Computer Science, 2014, 8806(1), 62-72. 17. Agarwal, T. K, Tiwari, M, Lamba, S. S, Modified histogram based contrast enhancement using homomorphic filtering for medical images, In preceeding of the IEEE International Conference on Advance Computing (IACC), India, 2014, pp.964-968. 18. Banik, R, Hasan, R, Iftekhar, S, Automatic detection, extraction and mapping of brain tumor from MRI scanned images using frequency emphasis homomorphic and cascaded hybrid filtering techniques, International Conference on Electrical Engineering and Information Communication Technology (ICEEICT), Dhaka, Bangladesh, 2015, pp.1-6. 19. Madhava, V, Yogesh, R, Srilatha, K, Wavelet decomposition on histogram based medical image contrast enhancement using homomorphic filtering. Biosciences Biotechnology Research Asia, 2014, 13(1), 457-462. 20. Agarwal, M, Mahajan, R, Medical images contrast enhancement using quad weighted histogram equalization with adaptive gama correction and homomorphic filtering, Procedia Computer Science, 2017, 115, 509-517.